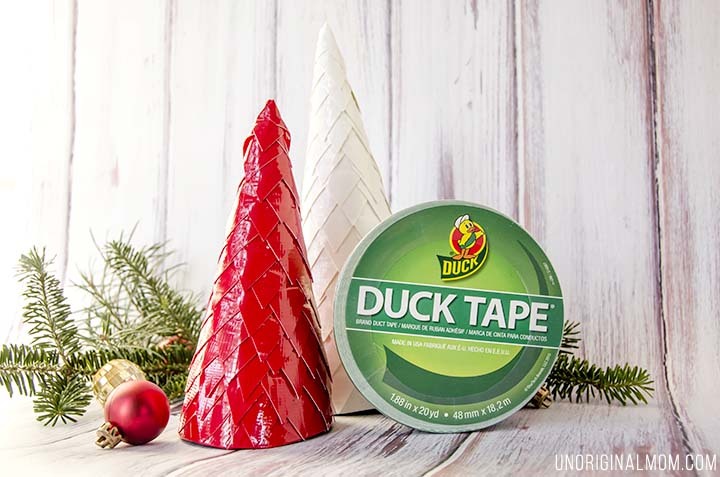 This post brought to you by The Duck® Brand. The content and opinions expressed below are that of unOriginal Mom. 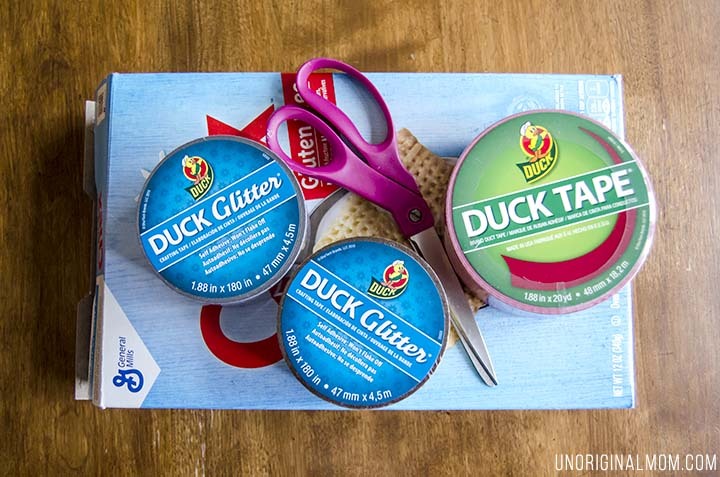 Duck Tape® tape sent me a box of all kinds of goodies – did you know that they make Duck Glitter® tape?? 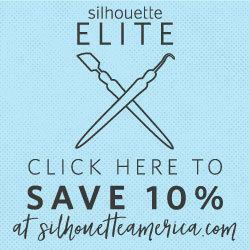 Seriously you guys, it’s amazing. 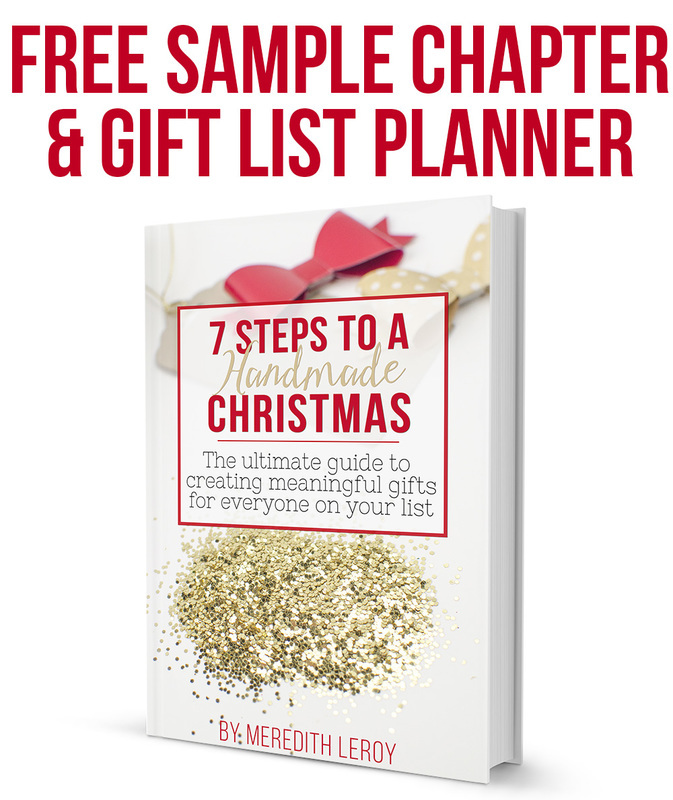 It’s so glittery and sparkly – but NO glitter rubs off!! 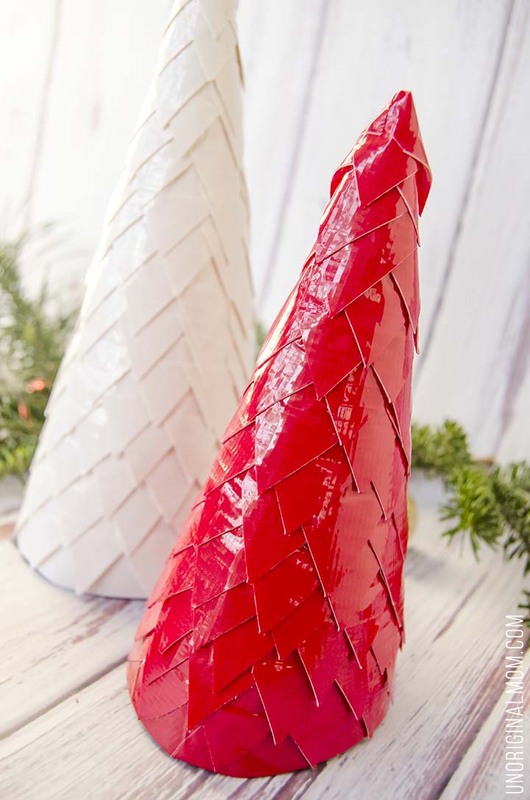 I actually attempted these trees with the glitter tape first, and while it looked amazing, the tape didn’t stick to itself very well and all the little triangles fell off :-( Sad story. But it’s definitely sticky enough for lots of other projects…I think I might make some gift tags or bows for wrapping with it! 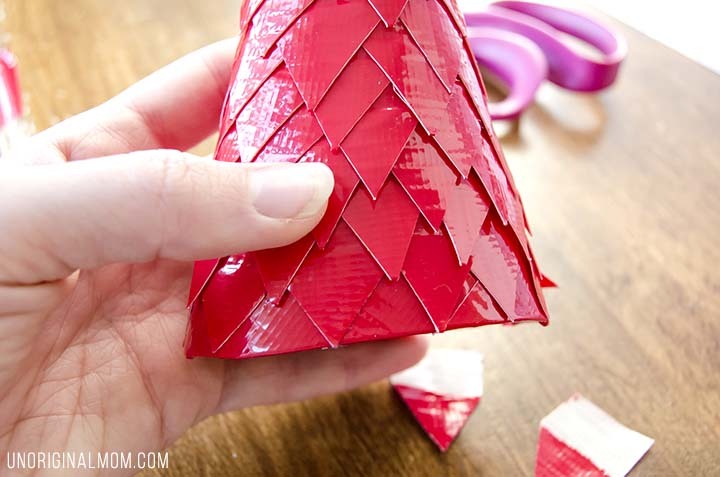 It’s a great craft medium that doesn’t require lots of other supplies (glue, tape, staples, embellishments, etc). I can see it working really well for simple kid crafts, too. 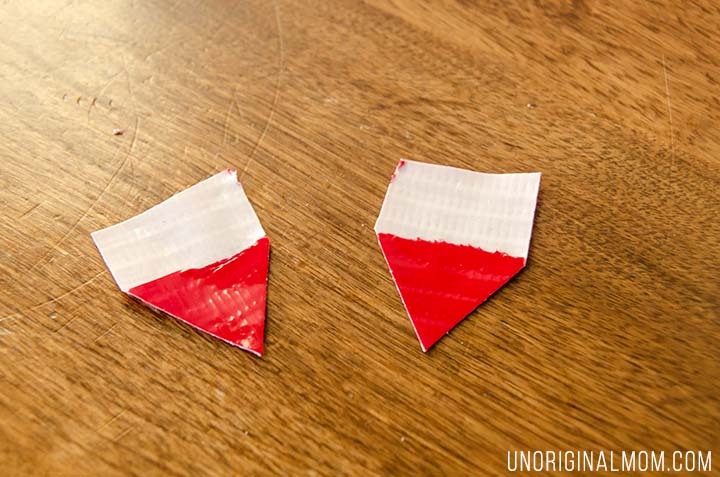 Regular red and white duct tape worked PERFECTLY for these trees, though. 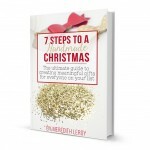 Here’s the how-to! 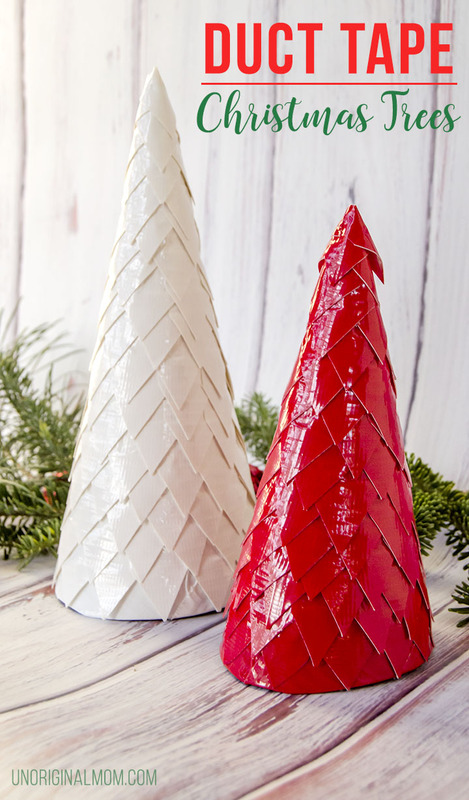 First, make yourself cardboard cones for your Christmas trees. 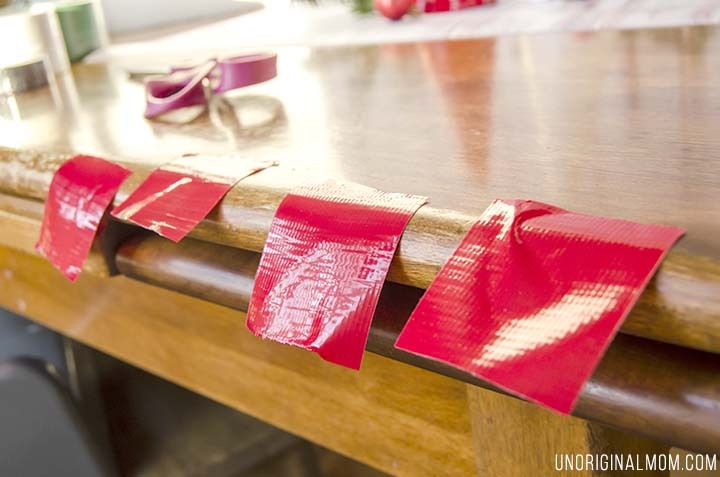 Tape them together and trim them at the bottom so they sit flat. 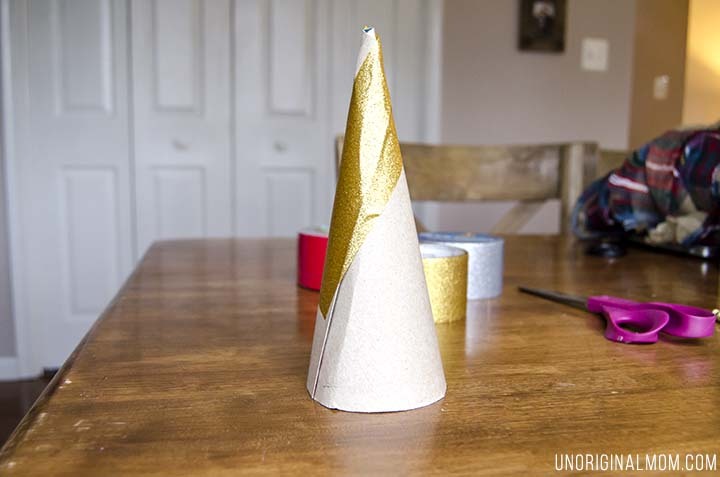 Then, cover your cone with whatever tape you’re going to be using. 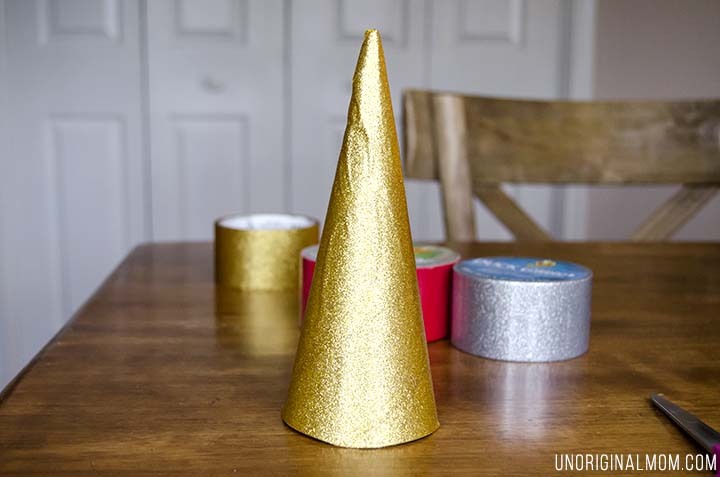 I used the glitter tape for this one, and it looked so pretty just as a plain cone! You could certainly make a few and leave them this way! 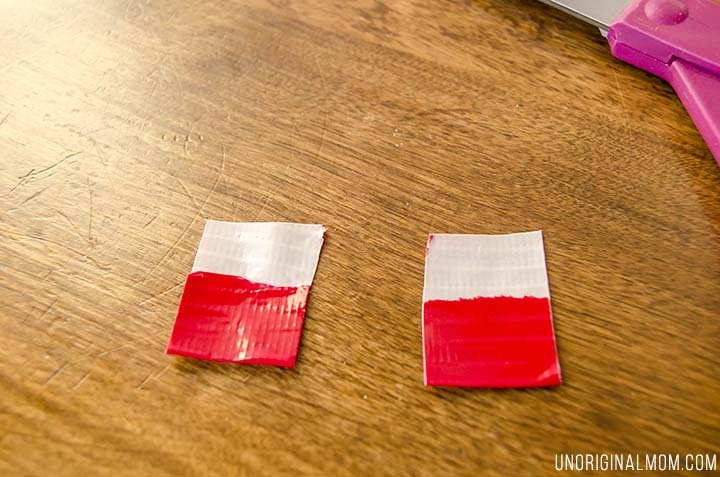 Fold it up onto itself, but leave about 1/3 of the tape exposed. Then cut it in half vertically. 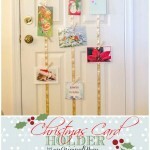 They’re so whimsical and fun – such a great addition to my Christmas decor stash! 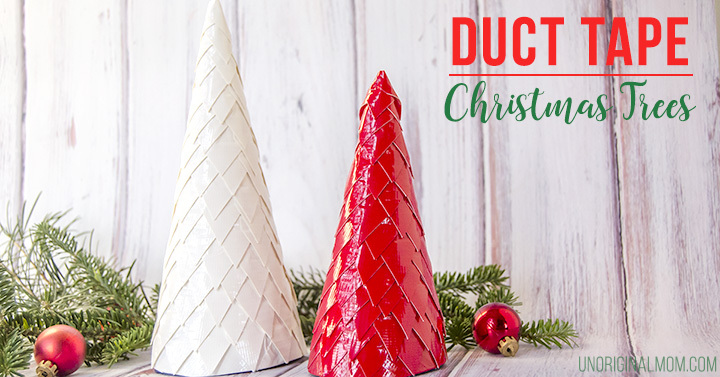 There are lots of great holiday decor things you can do with Duck® Brand crafting tapes and Duck Tape® – follow their holiday Pinterest board for more ideas and inspiration! 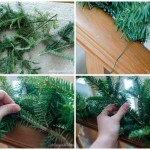 Make Your Own Garland for less than $5!